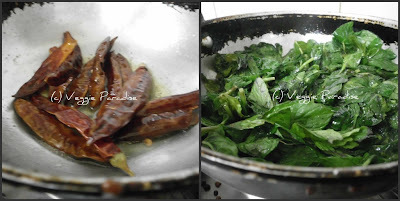 Heat oil in a pan, add the urad dal along with asafoetida and fry until it turns slightly brown, now add ginger and saute for a couple of mins. Add red chillies and saute it. Add mint leaves, when the leaves starts to wilt ,remove from heat. 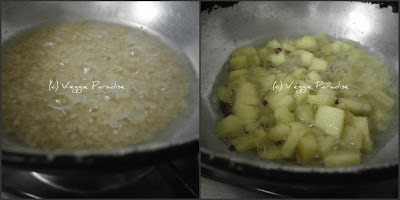 Allow them to cool and grind it along with salt and tamarind extract. No water is needed while grinding this thuvaiyal. Don't skip ginger as it enhances the taste of this recipe. one of the best comfort food.. i love this thogayal..we do it a little different.. konjam sadham thogayal & karamedu.bliss :) looks great aruna! Nice thuviyal...perfect accompaniment for snacks and rotis too.. This is absolutely lovely! I'm going to try this out, definitely! How is this taste as compared to the one with coconut? It is nice to have coconut-less chutneys. Healthy and yummy thuyail, I just have this as a side with idli,dosa,even rice and chappathi's too. love this thuvaiyal with rice more than with tiffin...looks colorful! This is an interesting recipe. I have not see mint fried before making into a chutney, will give this a shot. Love this thogayal, very refreshing..
Nice comfort food !! looks wonderful !! great thuvaiyal/chutney. 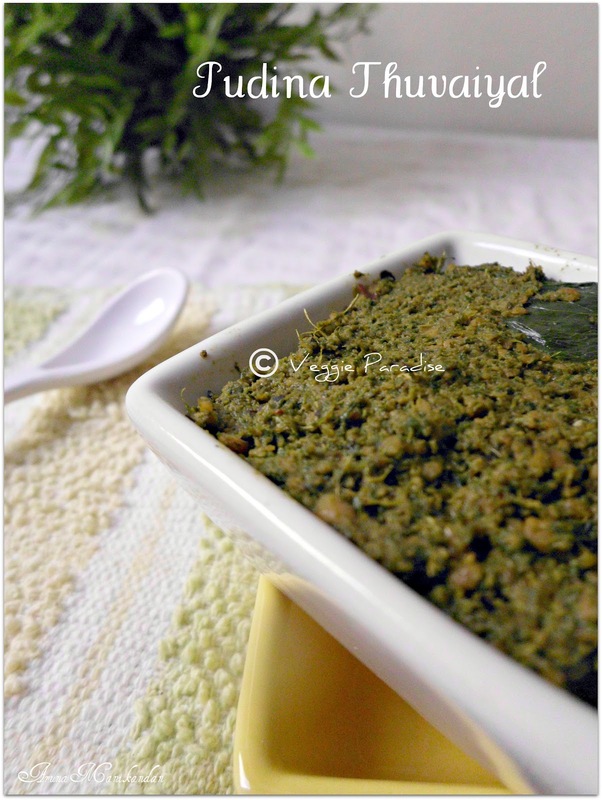 love the mint chutney without coconut and its great to see step by step recipe. Awsome thuvaiyal. Love it with puliyodhirai. 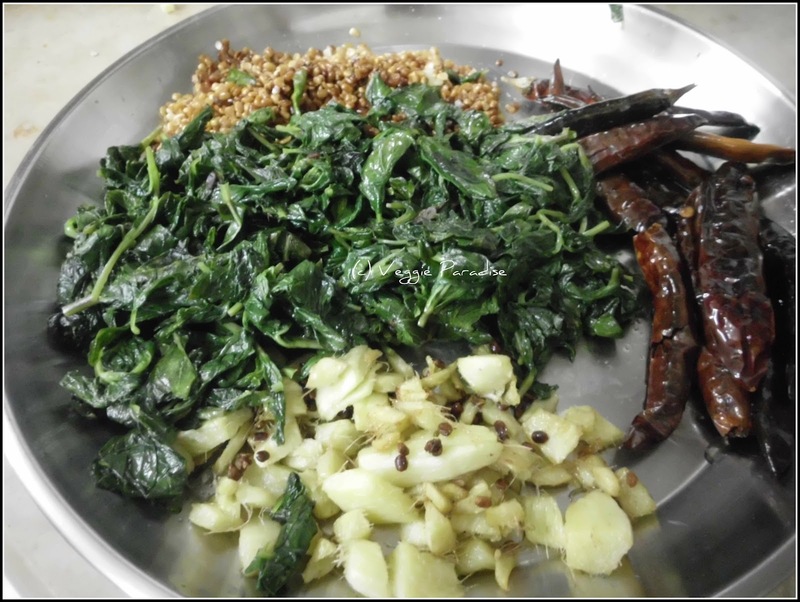 healthy n yummy thuvaiyal...my favouite! 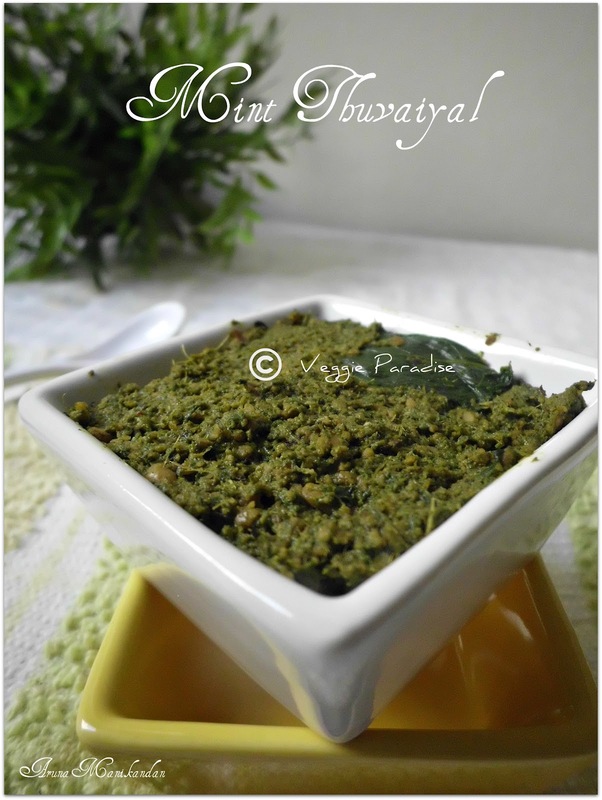 Great mint thuviyal can feel the flavour and lovely presentation. Very very nice! Nice chutney... I love mint chutney with rice.. Bookmarking it..
Lovely recipe this looks so yum! A simple and delicious dish with rice. Bookamrked. I have 'tagged' you in my post and would love to have you come over and take a look:)Hope it will be fun for you! !Do stop by!